Collaboration is key to everything IAPCO believe in. Behind each successful event is a solid and dependable partnership that seeks to deliver excellence. The IAPCO Collaboration Award celebrates these partnerships by giving them the global recognition that they deserve. Why not make a nomination for the award? 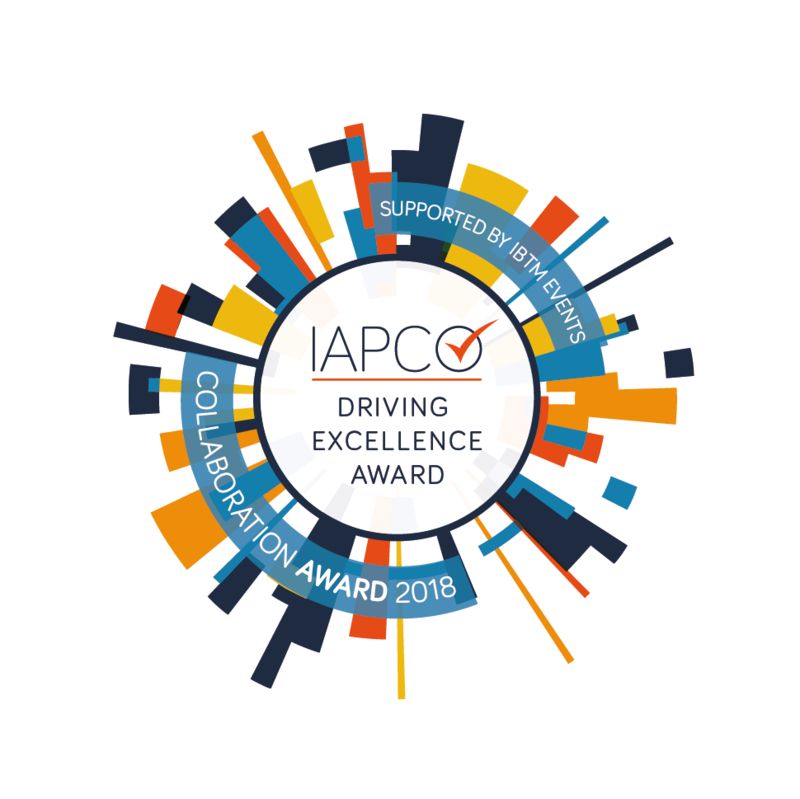 Arinex and The Australian Microscopy and Microanalysis Society (IMC) were the celebrated winners of the IAPCO Driving Excellence Collaboration Award announced at the IBTM Leaders Summit on Monday, who also support the Award. The award entry emphasized the importance of a collaborative approach between the PCO, client and all the sponsors and stakeholders that had excellent results. The IAPCO Driving Excellence Awards are in there fourth year, which attracted exceptional submissions. Three finalists each created a video outlining their collaboration that were presented to IAPCO’s Destination Partners for the final vote. The results were close, and both runners-up deserve recognition for their collaborative efforts, OIC Group, Italy & Firenze Convention Bureau and MCI Group Brazil & ABDID, Brazilian Association of Infrastructure and Base Industries. Nominations that are shortlisted will be asked to make a maximum three minute video which tells their story. It will be reviewed in September. All shortlisted videos will be used on IAPCO social media channels and on the website. IAPCO will ensure maximum recognition for your award winning collaboration by featuring it on multiple platforms; The PCO, social media and the IAPCO website! All finalists will receive tickets to the IBTM Leaders’ Summit where the winner will be announced.